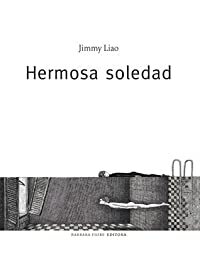 En la primavera de 1995 Jimmy descubrió que tenía leucemia. Durante un año de tratamiento, vivió en reclusión y silencio. Hasta 1998 los dibujos fueron toda su vida. Este libro recoge sus obras de dicho período, un mundo poético que se rige por sus propias leyes. En él, las ballenas bailan y cantan ante el asombrado y triste espectador. Las lágrimas de un conejo hacen brotar flores del suelo reseco. Los poetas nadan en piscinas sin agua, y las mariposas, con sus alas de mil brillantes colores, cubren a las muchachas con una preciosa colcha multicolor. The story of a bunny who learns moderation provides the best enjoyment. 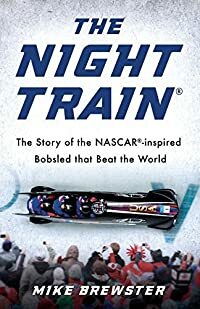 STEVEN HOLCOM B, (1980-2017), the prolific pilot of the Team Holcomb Night Train four-man bobsled that changed the history of international sport, was at the center of the success realized by the Bo-Dyn Bobsled Project. Undoubtedly recognized as the most awarded American bobsled athlete of all time, Steve provided vital information to our team of engineers and remained dedicated and loyal to the Bo-Dyn Bobsled Project goals and aspirations through much turmoil and many challenges. Together, we turned dreams into reality; and we are eternally grateful to our champion and friend. 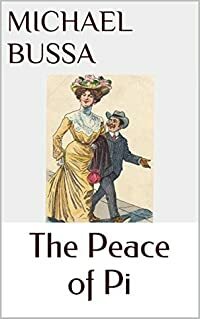 -Phil Kurze, President of the Bo-Dyn Bobsled Project, Inc.
A curious short story blending rhythm and rhyme that will carry the reader to an unexpected ending. Meet Frazz, your typical Renaissance man--successful songwriter, talented triathlete, and elementary school janitor. Okay, maybe Frazz isn't quite that typical, and this is exactly why the students at Bryson Elementary School love him. Frazz's bantering and philosophizing with students is always witty and sharp, yet accessible and enriching. 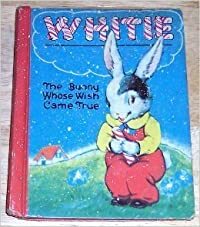 He's also made a name for himself amongst the school's faculty--he's captured the admiration of Principal Spaetzle, the romantic affections of first-grade teacher Miss Plainwell, and the exasperation of cynical Mrs. Olsen. 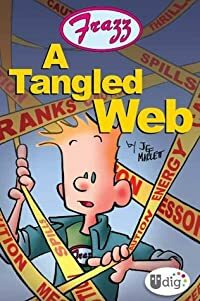 "A Tangled Web" is an e-book original collection of cartoons that showcases the funniest of shenanigans that ensue between Frazz and Bryson Elementary's students and faculty alike. This compilation includes exclusive commentary from "Frazz'"s creator, Jef Mallet himself. Mallet's work was nominated by the National Cartoonists Society for a Reuben division award for Best Newspaper Comic Strip in 2004, and "Frazz" has won two Wilbur Awards in 2003 and 2005, which honors excellence in communicating values and ethics. Indeed, within "Frazz"'s jokes and antics is the heart of the strip: insight that makes learning fun for kids and inevitable for adults. 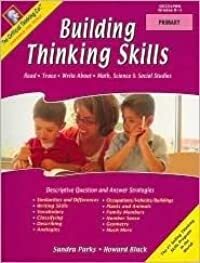 Building Thinking Skills(r) provides highly effective verbal and nonverbal reasoning activities to improve child's vocabulary, reading, writing, math, logic, and figural-spatial skills, as well as their visual and auditory processing. This exceptional series provides a solid foundation for academic excellence and success on any assessment test. Methods The activities are developmentally sequenced. Each skill (for example, classifying) is presented first in the semi-concrete figural-spatial form and then in the abstract verbal form. Children learn to analyze relationships between objects, between words, and between objects and words as they: Observe, recognize, and describe characteristics. Distinguish similarities and differences. Identify and complete sequences, classifications, and analogies. These processes help children develop superior thinking and communication skills that lead to deeper content learning in all subjects. Teaching Support Activities are modeled to reinforce reasoning skills and concepts. Full of cultural tips and hints on local protocol, the South Pacific Phrasebook will help guide you through situations ranging from visiting a New Zealand marae or enjoying Tonga's Heilala celebrations, to joining in a Samoan kava ceremony or checking out a Hawaiian hula competition. Open up communication with local greetings and conversation starters, and discover the culture through traditional dance, legend and songs. 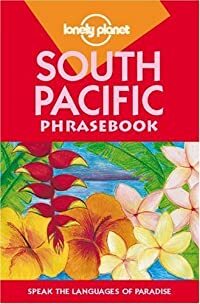 In This Guide: Covers the languages of the Cook Islands, Easter Island, Fiji (Fijian & Fijian Hindi), Hawaii, New Caledonia, New Zealand (Maori & NZ English), Niue, Norfolk & Pitcairn islands, Samoa, Tahiti and Tonga. Favorite local dishes and traditional ways to cook up a feast. Maps locating each island within the region. Festivals, ceremonies and placenames.